I'm calling him Mario, because he has a beautiful (if somewhat squeaky) tenor voice. And he's singing my favorite Christmas Carol! 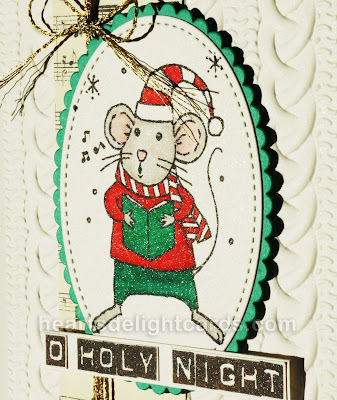 Remember, the Merry Mice clear mount stamp set is part of the Year-End Closeout for 20% off, as is the baker's twine used here. I am happy to report that the awesome Cable Knit Dynamic embossing folder is being carried over! Woohoo! I love that it gives such a deep impression. 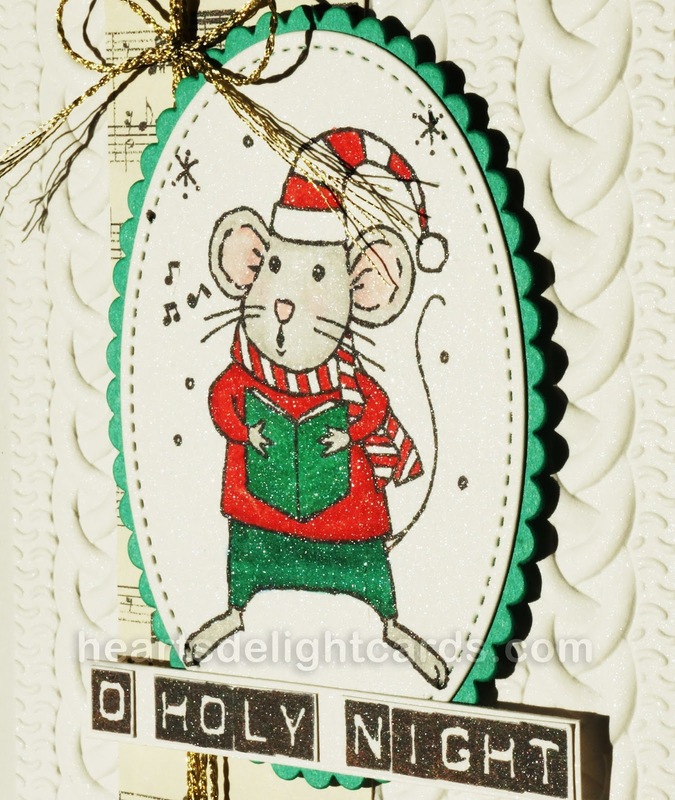 Image: Shimmery White 3" x 4"
Mat: Emerald Envy 3" x 4"
DSP: This Christmas Specialty DSP 1-1/2" x 5-1/8"
Embossed background: Shimmery White 3-7/8" x 5-1/8"
Card base: Confetti Naturals (ret.) 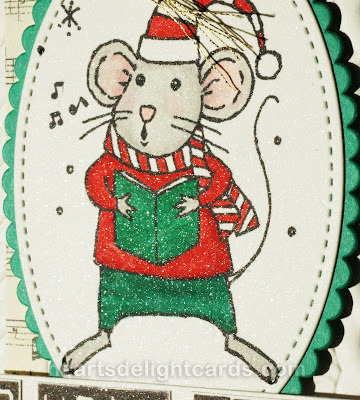 5-1/2" x 8-1/2" scored and folded at 4-1/4"
Stamp mouse in black on smaller shimmery white cardstock. Color using blender pens. 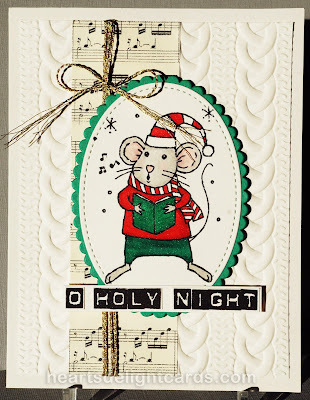 Die cut with largest Stitched Shapes oval die. 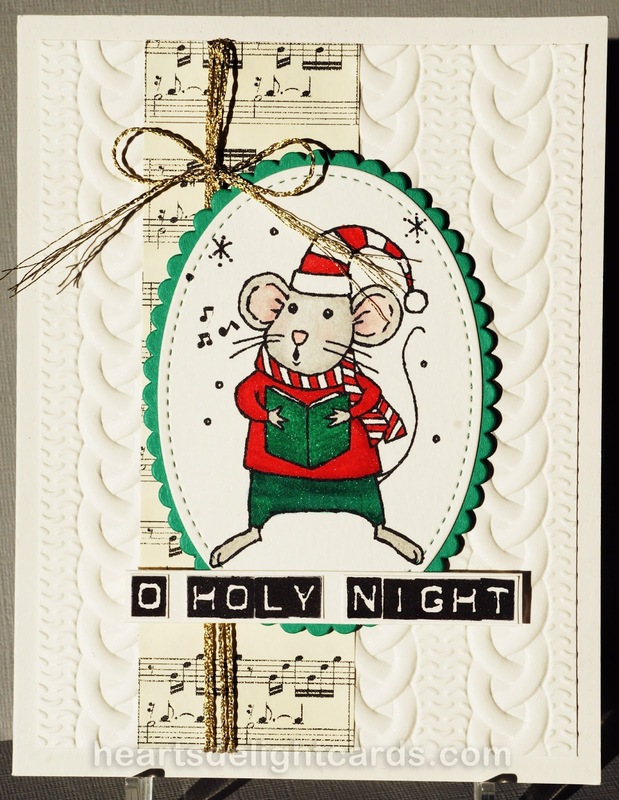 Die cut Emerald Envy with largest scalloped oval in Layering Ovals Framelits. Adhere image to mat. Emboss background with Cable Knit embossing folder, then adhere DSP to background. Wrap gold baker's twine around 3-4 ties and tie a bow near top. adhere background to card base and attach image with dimensionals. Affix greeting to bottom of image with liquid glue.